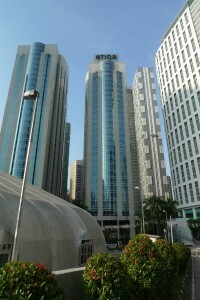 Etiqa Twins, formerly known as MNI Tower, is a unique 2 tower of corporate office space, situated along Jalan Pinang, at the vicinity of Petronas Twin Towers or KLCC. Each of the tower is 27 storey high and it is home to a licensed insurance and takaful operator, Etiqa, owned by Malaysia Banking Group, Maybank. Etiqa Twins tenants can access many amenities – mostly are just minutes away by foot. Suria KLCC and KLCC Park is less than 1 minute walk away. There are many hotels and serviced residences around such as Ascott Kuala Lumpur, Mandarin Oriental Hotel and Grand Hyatt. Royal Selangor Golf Club is located 5 minutes drive away. Located amidst of bustling city centre, Etiqa Twins can be easily reachable by LRT (Kelana Jaya Line), Monorail KL, RapidKL and GoKL. 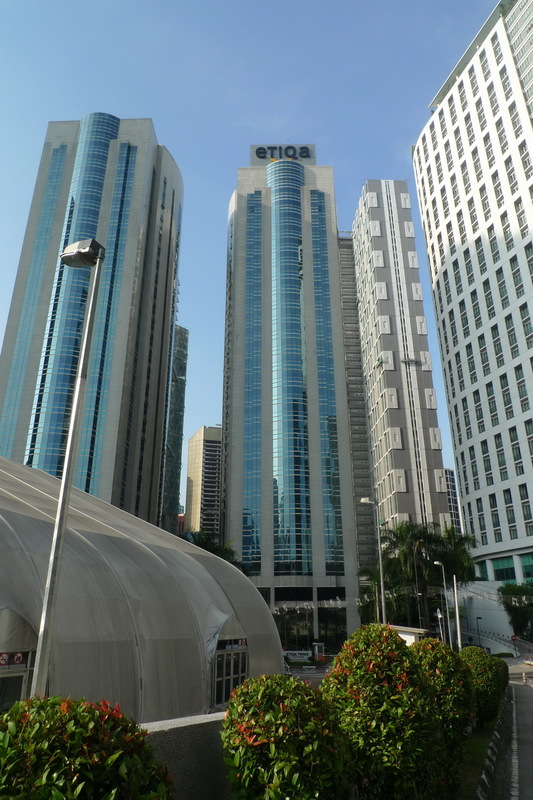 Etiqa Twins is accessible from Jalan Ampang and Jalan Sultan Ismail via Jalan P Ramlee and Jalan Kia Peng that linked to Jalan Pinang. The building has 5 storey basement car park which can accommodate up to 700 cars. Other amenities includes high speed broadband, 24 hours security and CCTV system, and Turnstile system.